Kumagaya is northern area of Saitama Prefecture. It is known as the hottest place in summer in Japan. This area had been developed as the post towns on Nakasendo road during Edo period. Today, there are many historical sites including Kangiin Temple. Also, This area has many Kofun. 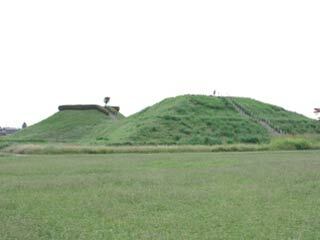 Sakitama Kofun is the largest Kofun group in Kanto region. Use Kanetsu Express Way to north. Exit at Hanazono. 140 to east. Use JR Yamanote Line to Shinjuku. Change JR Shonan-Shinjuku Line to Kumagaya Station.